As expected in last weekend's post Silver continued its rally and gained about 3 % this week. I think that Silver is in wave [iii] of Minor 3. A third wave is usually 1.62 times as long as the first wave. 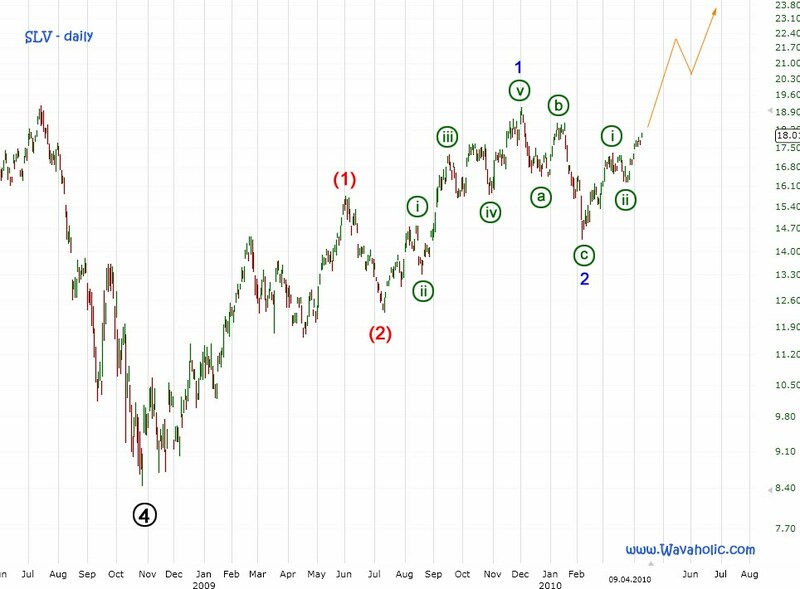 Thus, this gives us a target for wave [iii] of about 21.5, right at the 2008 high. 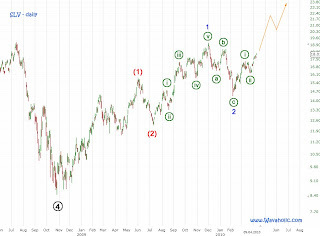 Should it decline below the low of wave [ii] something else is underway.